In the Christmas Cash Challenge I touched on the topic of blogging. I’ve not really ever written about it much as I felt I wasn’t good enough at it, or earning enough money to tell other people to try it, but through 2018 my blog has grown. I’m now making a bit of money every month, and I’ve made some amazing people who I now consider to be colleagues, mentors, cheerleaders and friends! That’s why I’m going to go in to it in a bit more depth now, because you really can make money blogging! 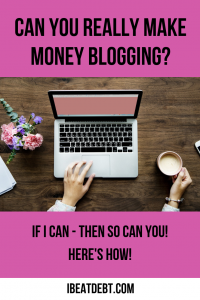 Blogging won’t make you a millionaire overnight, it’s a slow burner, which involves a fair amount of effort, and it can take a while to recoup your initial costs, which is another reason I haven’t activley promoted it previously, however it is becoming a really popular way for people to start their own businesses and make money. You just need to be patient and stick with it, and not get frustrated when things take longer than you had hoped or expected. It tends to work really well with people who need to be flexible with their own hours and is super popular with stay at home mums, but it is possible for ANYONE to make money. If you need money quickly, then it’s perhaps not right for you now, but bear it in mind for the future. The first thing you will need to do is to find something which you are passionate about and enjoy writing and reading about. Your blog WILL fail if you write about something just because everyone else is making money from it, but you don’t really care about the topic. A lot of bloggers write about much of the same things (for example, some of my money hints and tips you will find on multiple other bloggers’ sites) but it is how we write about them that sets us apart from the rest. Find your niche and what sets you apart and go for it. I would recommend starting at Siteground – you can get your domain (website name eg https://ibeatdebt.com) and hosting (where the website files live) through them. I use Siteground, having previously been with a different provider and they are outstanding. They have 24 hour chat support – so when you are in the middle of an amazing blog post in the middle of the night, you can still get help! I have had 100% uptime on my site whilst I’ve been with them and they have loads of technical resources and help guides. Don’t let your technophobia put you off – once you get your site set up, WordPress is super intuitive and where I can, I will be here to help (I am not available 24 hours though-sorry, although feel free to visit my blogging buddies Facebook Group for support). The key component about blogging is content – if your content is poor, nothing else will matter! The great thing about blogging is not only the sponsored content (which is effectively brands using your site as advertising) but referral and affiliate offers. This is where someone uses your link (like where I have recommended Siteground in this post) and you get a bonus or commission everytime someone makes a purchase after using that link. The important thing here is to only recommend products and services that you have used and truly believe in, as referring things which are poor quality might get you the commission in the short term, but damage your brand in the long term. It’s a lot to think about and take on board. There’s a lot of information out there about blogging – and only you can decide if it’s something you want to do. Don’t do as I did which is to rush out and spend loads of money on online courses – most of which were not great or just didn’t work for me. If you truly want to spend money on a course – I can recommend Emma Drew’s Turn Your Dreams into Money course. I first came across Emma when she was blogging under her old blog name “From Aldi to Harrods”. She has so much great information about making and saving money and I was hooked. She is absolutely Girl-Bossing it as a blogger and shares all her hints and tips in this course. Her website is worth checking out whether or not you decide you are interested in blogging anyway though. If I haven’t managed to put you off blogging entirely, have a think and try and write down 3-5 things that you are passionate about, and look online to see what kind of blogs are out there which cover these things. Remember the content will never be 100% unique, but you are 100% individual and that’s what you can focus on! Got any questions about blogging or anything relating to it – feel free to get in touch and I’ll do my best to answer any questions and help you where I can! 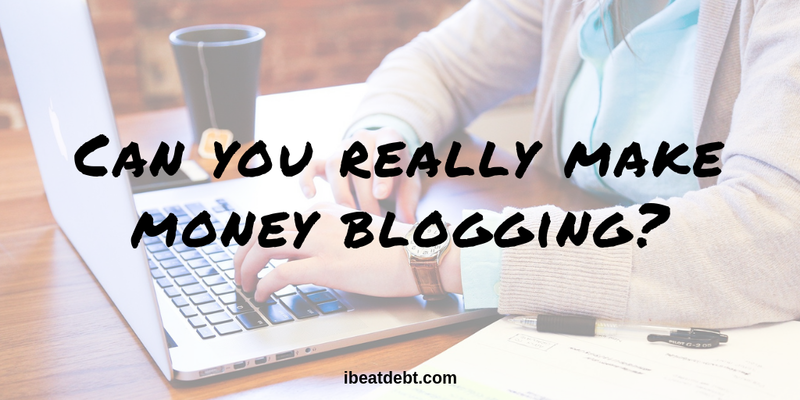 ← What sets me apart from other money bloggers?